Ungh. This whole thing remind me why I was so happy to leave Hawaii. A government department of the State of Hawaii is demanding the retraction of a political cartoon published Jan. 18 on the satirical web site http://www.zeroshibai.com/ and reprinted Jan. 21 on http://www.hawaiireporter.com/ The demands come in response to images and text ridiculing the Office of Hawaiian Affairs' Kau Inoa campaign as "Cow Inoa." Kau Inoa, Hawaiian for "place your name" is building a roll of Hawaiians to participate in a Hawaiian tribal government. 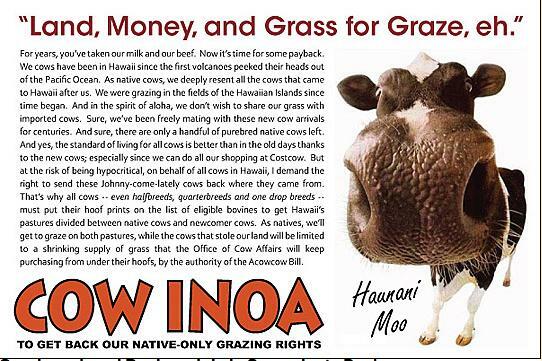 Haunani Apoliona, writing in her capacity as "Chairperson, Board of Trustees, Office of Hawaiian Affairs" (OHA) in a Jan. 24 statement demands: "The cartoon should be pulled and the secret author publicly identified." Read it all over at The American Thinker. As for you racist, bigoted, PC, Marxist, hypocritical, Diversity Bullies - bite me. There was more than one flag raising on Iwo Jima. The second team got all the fame. One of the members of the first, Ray Jacobs, passed. See The Castle Argghhh!!! for details. Every day, more and more of that generation pass. This did it for me last night, know why? Dirk VanEnkevort wanted to take advantage of a shipbuilding boom when his family's company leased one of the largest dry docks in the Great Lakes region in 2005. But now he is so short-handed he has turned to robots to help keep up. His company, Erie Shipbuilding LLC, has since hired about 150 workers and equipped the facility on Lake Erie with sophisticated metalworking tools — including robots. It now has orders to build eight oceangoing barges and plans to hire additional workers as needed. But as his order book fills, VanEnkevort faces a problem hampering dozens of other midsize commercial shipyards across the country: a shortage of skilled, experienced workers capable of assembling and welding freight ships. ...and it ain't getting better. Get it right so we can have a stable industrial base - or you will never be able to build a fleet you need. About as bad as PEO Ships. Retired Rear Admiral (that is 2-stars Joe), now Congressman Joe Sestak (D-PA) looks like he has a challenger. So, it’s going to be the Admiral vs. the Lieutenant Colonel. Joe Sestak vs. W. Craig Williams. No, that W doesn’t stand for Who? But it may as well. However, if the voters care to find out just who Wendell Craig Williams is, they might be pleasantly surprised. The affable 43-year-old Glen Mills resident, is a former Assistant U.S. Attorney who is stepping down to take on the rookie congressman. He is also a decorated U.S. Marine lieutenant colonel who flew 56 combat missions during Operation Desert Storm. After that war, Williams, a graduate of Duke University, went to Columbia law school (where I’m told he graduated with a 3.8 grade-point average). He put his law degree to work for the Marine Corps as a prosecutor in California, the U.S. Attorney’s office in Colorado and Philadelphia, then as deputy legal counsel for the Joint Chiefs of Staff. A military brat, Williams grew up mostly in Alaska where his stepfather was stationed. Both his dad and stepdad were Vietnam vets. After leaving active duty in 2000, Williams was working in a New York City law firm on Sept. 11, 2001, when American Airlines Flight 11 hit the North tower of the World Trade Center. What struck him most was the eerie calm that settled over the city the next day. “I imagined more chaos and panic than I saw,” he said. Instead of getting back into an F-18, Williams eventually ended up in Washington working on legal issues concerning the handling of captured terrorists and detainees at Guantanamo Bay and elsewhere. Williams was quick and emphatic. But Williams does have something to say about Sestak’s seemingly shifting position on the war in Iraq. This has been true of many Democrats and no less true of Sestak. But with the tide turning on the ground in Iraq, the surge working, and violence down significantly, now is not the time to talk about cutting our losses and leaving, says Williams. Where is my checkbook? More here and here. Nice news - hope they can make it work. In mid-2004, competition for arming the Type 45 came from United Defense, who proposed their 5"/62 (127 mm) Mark 45 Mod 4 for these ships. As part of this proposal, United Defense would sub-contract much of the assembly work to British firms, similar to what they have done for other nations. 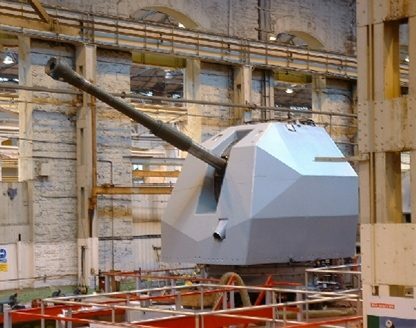 In response to the United Defense proposal, in December 2004 BAE Systems made a proposal to use the existing gun house for the 4.5" (114 mm) Mark 8 Mod 1, but use the same 155 mm/39 gun barrel being used on the Army's AS90 Braveheart self-propelled howitzer. BAE called this proposal the 155 mm TMF (Third generation Maritime Fire support). BAE claims that this arrangement would not create recoil forces beyond the capability of the Mod 1 mounting and estimates that this design would weigh 24.5 tons compared with 22.5 tons for the 4.5" (114 mm) Mark 8 Mod 1 and 26.4 tons for the original Mod 0. BAE foresees that the largest modification would be changing to a double-stroke loading cycle needed to handle modular charges. BAE estimates that this change would reduce the rate of fire to about 12 rounds per minute. There would also need to be a modification of the gun shield to allow for higher elevation angles. BAE states that the Mark 8 Mod 1 gunhouse could also be used for a Fourth generation Maritime Fire support weapon (FMF) using the longer-barrel 155 mm/52, but this combination would require strengthening of the gunhouse in order to meet the added recoil forces. 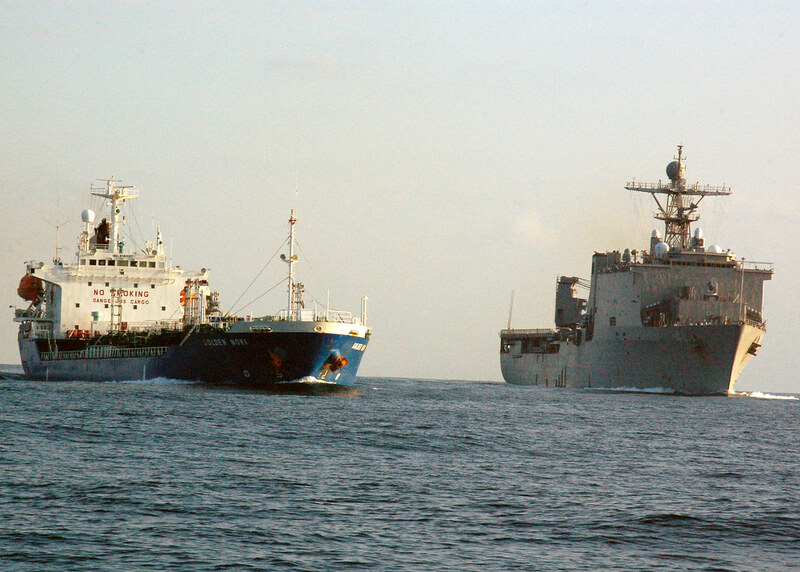 The United Defense proposal was rejected by the Royal Navy in early 2005 as being too expensive. The acquistion of United Defense by BAE Systems in June 2005 has made any competition between BAE and United Defense moot. The UK Defense Ministry has awarded BAE a research contract to pursue their TMF design. If successful, land-based firing trials could be carried out late in 2008. Because it is good news where both Republicans and Democrats are working together against Communists and retrograde Unions - you may not have heard about SECSTATE's visit with members of Congress to Colombia. The Bush administration is mounting an "unprecedented campaign" for Congress to pass the pending U.S.-Colombia free trade agreement, concerned that foot-dragging could send a message abroad that Washington can't keep its commitments to allies. U.S. Secretary of State Condoleezza Rice led a delegation of Democratic lawmakers to Colombia this weekend to promote the agreement. In all, six Cabinet secretaries are slated to lead lawmakers to the South American nation through March to push the accord that was signed in 2006 but still lacks congressional approval, U.S. officials said. Colombian officials also are making the U.S. rounds, with South Florida a key stop. Vice President Francisco Santos met Monday with officials from Miami-Dade County, which passed a resolution last fall backing the pact to boost commerce with a key business partner. Colombia ranked as South Florida's fourth-largest trade partner in 2006, with $4.4 billion in goods traded, up 11.3 percent from the previous year, according to the latest full-year data from the U.S. Commerce Department. U.S. unions, including the AFL-CIO, have rejected free trade with Colombia, citing violence against labor leaders there. Many Democrats have withheld support because of union concerns. But Chris Padilla, assistant secretary of commerce for export administration, said violence has dropped in Colombia in recent years, both against labor leaders and in general. Under conservative President Alvaro Uribe, the Andean nation of 44 million residents has transformed, with murders and kidnappings down, investment up and the economy posting its best performance in decades. "It would be a foreign policy mistake of colossal proportions if we are to turn our back on an ally that has made such remarkable progress," Padilla said during a Miami visit Thursday. "It would send a message that those committed to freedom and democracy in this hemisphere can't rely on the United States as a friend." South Florida's trade community and many U.S. business groups also back the agreement as a way to expand U.S. exports, noting that recent free trade accords with Chile, Mexico and other nations have energized U.S. sales to those nations. Advocates note that Colombia already sells most of its goods duty-free to the United States under existing trade laws, so the pact would mainly expand market access for U.S. goods and services in Colombia. Many also cite strategic reasons to support a U.S. ally. "We're pulling out all the stops for the Colombia free trade agreement," Frank Vargo, vice president at the National Association of Manufacturers, said Monday. "There will be a lot of fireworks, lightning and thunder, but I believe it can pass before the elections." Colombia is a solid democracy, a good friend, and the Colombian people love Americans. 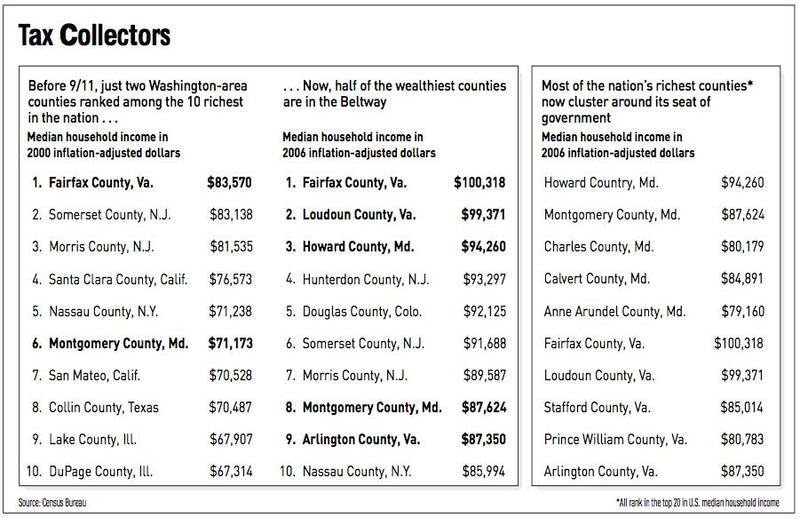 The fact they, by their economy, freedom, and progress put the lie to Hugo next door, just makes them more deserving of a Free Trade Agreement. Ask Walter and Patricia at The Latino Grill. Video here. 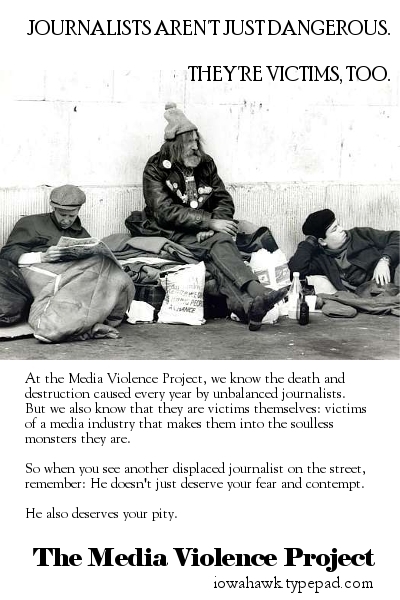 Here is a good example I have such little patience with the MSM Monday morning QB'n anything we do/did in Iraq. For the last 4 years CBS, more than most - never gives up a chance to throw the WMD "challenge" in the face of any who had to plan for the invasion of Iraq. Don't focus on teh "Air to Air UAV" BS - at about the 1-minute point, CBS makes my point quite well. Heal thyself. Some people forget what the past was like - I try to wallow in it. A very important piece out by Fred Barnes in the Weekly Standard. It is a very accurate bit, from my POV, of how the Surge was born. It is good that much of this is now coming out. There were small public hints we could share early, but so much more waits to be discussed that you just have to wait to become public record to comment on. I have no problem saying that as a lapsed Romney guy, Rudy voter, anti-Huckabee Evangelical, (l)ibertarian Dennis Miller Conservative (mostly I guess), but one that tries to keep a VDH sense about things. I am not a McCain guy, that is for sure ... but ..... this steadfastness alone would ensure that if in the end it is him against Obama or Clinton - he will get my money and vote in '08. Anyway, let's get back to Fred's bit. I want you to read it all, but here are the meaty bits that got attention from my highlighter. Inside his own administration, Bush had few allies on a surge in Iraq aside from the vice president and a coterie of National Security Council (NSC) staffers. The Joint Chiefs were disinclined to send more troops to Iraq or adopt a new strategy. So were General George Casey, the American commander in Iraq, and Centcom commander John Abizaid. Secretary of State Condoleezza Rice favored a troop pullback. A week earlier, the Iraq Study Group, better known as the Baker-Hamilton Commission, had recommended a graceful exit from Iraq. He did have some support from the rank and file though. "If you're going to be a bear, be a grizzly." Almost the title of this post, but a good concept to use in this line of work - or any for that matter. "One of the most important jobs of a commander in chief, and particularly in a time of war, is to be thoughtful and sensitive about the U.S. military," he said. Bush believes in persuading the military to embrace his policies rather than simply imposing them. In fact, a senior Pentagon official said Bush hoped the military would use the interagency review to push for a surge on its own. That didn't happen. The chiefs preferred the status quo, which meant sticking to a strategy of training the Iraqi army and leaving it with the job of defeating the insurgency. Not a shocker. Very few bold ideas will come out of the JCS. Any idea goes through too many filters to get there, and except for the rare bird, no one in this still peacetime military make it that far by being anything but status quo cautious. Want to know why LTC John Nagl (USA A) is punching out at 20? Simple. Unlike WWII where you could make Col. before your 35th birthday (no JPME req'd); the conveyor belt mentality of peacetime promotion still rules. Sad, but he can fight better in suit and tie in 2008. Same question many of us have been asking for years. Still a great untold story. 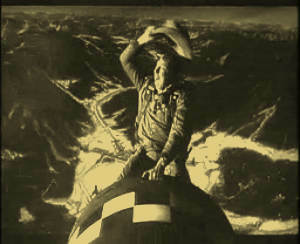 After the bombing, NSC officials were increasingly dubious. They weren't alone. General Keane kept in contact with retired and active Army officers, including Petraeus, who believed the war could be won with more troops and a population protection, or counterinsurgency, strategy--but not with a small footprint. At the American Enterprise Institute (AEI) in Washington, a former West Point professor (and a current WEEKLY STANDARD contributing editor), Frederick Kagan, was putting together a detailed plan to secure Baghdad. But the loudest voice for a change in Iraq was Senator John McCain of Arizona. He and his sidekick, Senator Lindsey Graham of South Carolina, traveled repeatedly to Iraq. McCain badgered Bush and Hadley with phone calls urging more troops and a different strategy. Together, McCain, Keane, Petraeus, the network of Army officers, and Kagan provided a supportive backdrop for adopting a new strategy. This is the McCain paragraph. Read it again. He has been a lion here. Give him all the credit he deserves. The four-man panel wasn't stacked. Kagan spoke in favor of additional troops and outlined his plan for pacifying Baghdad with a "clear, hold, and build" strategy. American soldiers, along with Iraqi troops, would do the holding, living in Baghdad and guarding its citizens, Sunni and Shia alike. Robert Kaplan, the foreign correspondent and military writer now teaching at the Naval Academy, talked about successful counterinsurgency campaigns in the past. (Kaplan's books are among Bush's favorites.) Kaplan neither advocated a troop buildup nor opposed it. Countering Kagan, Michael Vickers, a former Green Beret and CIA operations officer, explained how Iraq could actually be won with fewer troops, not more. Vickers is now an assistant secretary of defense. The fourth panelist was Eliot Cohen, now a State Department adviser. Bush had read his book on wartime leadership, Supreme Command. Cohen reemphasized its theme: Leaders should hold their generals accountable if a war is being lost or won. A good example of solid leadership. Listen with an open mind to both sides. Not quite the GWB you read about, is it? In Washington, the president got little satisfaction from the interagency review of Iraq policy. Instead of a surge, the State Department favored a strategy of pulling troops out of Baghdad and allowing the Sunnis and Shia to finish their bloody struggle. When Bush heard about this idea, he rejected it out of hand. "I don't believe you can have political reconciliation if your capital city is burning," he said. That afternoon, Keane and Frederick Kagan gave Cheney a full briefing, including a slide show, on their surge plan. It had been developed at AEI with help from Keane's network of officers. Cheney didn't need much encouraging. Bush told Cheney biographer (and WEEKLY STANDARD senior writer) Stephen F. Hayes last year that the vice president had always been a "more troops guy." The surge neatly fit Cheney's specifications. Keane and Kagan became a sought-after pair in Washington, a gravelly voiced general and a young professor with a plan to win in Iraq. They gave briefings to Hadley and Pentagon officials, among others. A little something for those with Cheney Derangement Syndrome. US soldiers are lampooned, policemen are shown as buffoons and Shiite cleric Moqtada al-Sadr is irreverently cheered by penguins... Iraqis are turning more and more to You Tube to express their dark-edged humour. It mostly reads just what it is, but the title and tone in places I think misses the major point. If you are our enemy, we are your worst nightmare - but if not, we are just a big bunch of goofs - I think the Iraqis are starting to figure that out; and that is good. This isn't mocking; this is affection (and a little interested confusion too). Look at the videos on the left side of the link to Breitbart's site or do a YouTube search for "Iraq dancing" or some'n'other. It's all good. I see victory; heck, just look at the below. Ahhhhh, the schadenfreude one can get from the tone-deaf Diversity Bullies when they prove that they truly don't have a clue. An attempt by the Naval Academy to honor the Rev. Martin Luther King Jr. this week by serving fried chicken, greens and cornbread in the midshipmen's dining hall sparked a debate on the Annapolis campus about racial sensitivity. On Tuesday, the academy served those items along with mashed potatoes, pie and lemonade as clips of King speeches were broadcast in King Hall, named after an academy graduate. The meal was served Tues-day because classes were not held during the holiday honoring the civil rights leader. Did they have an Al Jolson tribute player come out to serve the watermelon too? There are one or two reasons for this; first, there are tone deaf simpletons who are responsible for this or; second, the command climate in this area is such that no one is willing to point out that the emperor has no clothes. Remember the flush days when it looked like at any moment the realities of combat would help us move from teh 9mm back to the .45 or at least a .40 in side-arms and ditch teh 5.56mm varmint round to something in the 6.5-6.8mm range? When the Logistics types managed to bury the 5.56mm ditch and fought a rear action against the assault on the 9mm, at least we thought we cold get rid of the M-16/M4 family. Well, you underestimated the sitting Army REMF bureaucracy. Via DID. A class 1 stoppage is one a Soldier can clear within 10 seconds; a class 2 stoppage is one a Soldier can clear, but requires more than 10 seconds; and, class 3 is a stoppage that requires an armorer to clear." DID will simply point out that 10 seconds can be a rather fatally long time when people are shooting at you, and at your friends. So, what happens when the Extreme Dust Test III stoppages are broken out by weapon? The M4 Carbine is the Army's existing weapon. 882 jams, 1 jam every 68 rounds, again using heavy lubrication. In addition all 10 of the M4 barrels needed to be replaced, and a number of their parts were replaced during the test. None of the cold hammer forged HK416 and XM-8 barrels needed replacement. The HK416 is a modified M4 carbine, which can be and has been converted from existing rifles. Used by US Special Forces. 233 jams, 1 jam every 257 rounds, 3.77x more reliable than the M4. FN SCAR is US special Forces' new weapon, designed by SOSOCM. It just went into production in late 2007. XM-8 is a developmental rifle. It's an advanced version of HK's G36, a rifle in wide use by many NATO armies. The US Army cancelled the XM-8 weapons family 2 years ago. 127 jams, I jam every 472 rounds, 6.95x more reliable than the M4. The failure of M4 barrels at 6,000 rounds confirms SOCOM objections that date back to the Feb 23/01 report "M4A1 5.56mm Carbine and Related Systems Deficiencies and Solutions," which ended up concluding that "M4A1 Carbine… does not meet the requirements of SOF." The barrel replacement also increases the rifle's life cycle costs when compared with the 10,000 round advertised barrel life, as additional barrels are sold to the Army for $240 each. A longer, heavier M16 barrel, which is a competed production weapon, cost $100 by comparison. While the dust test is indeed an extreme test, the 10,000 round requirement is under "all conditions" – not just ideal conditions. "After being exposed to the heavy dusting, 10 of each weapon fired 6,000 rounds apiece. They were fired in 50 120-round cycles. Each was then wiped and re-lubricated at the 600 round mark. After 1,200 rounds were fired from each weapon, they were fully cleaned and re-lubricated… "While the M-4 finished fourth out of four, 98 percent of all the rounds fired from it went off down range as they were supposed to do," Brig. Gen. [Mark] Brown [commander of Program Executive Office Soldier and the Natick Soldier Systems Center] said. "However, the three other candidates did perform better at about a 99 percent rate or better, which is a mathematically statistically significant difference, but not an operationally statistical difference.".... The Army has put an option on an existing contract for 64,450 M4s, according to the general." "A mathematically statistically significant difference, but not an operationally statistical difference." Perhaps the US Army could put that on their recruiting posters, next to a picture of a jammed rifle. Sigh. What could have been. What we have (caution, Sailor language). Gordon Brown's campaign to promote British values has been exposed as a sham after it was revealed he personally approved a decision to remove Britannia from the 50p coin. 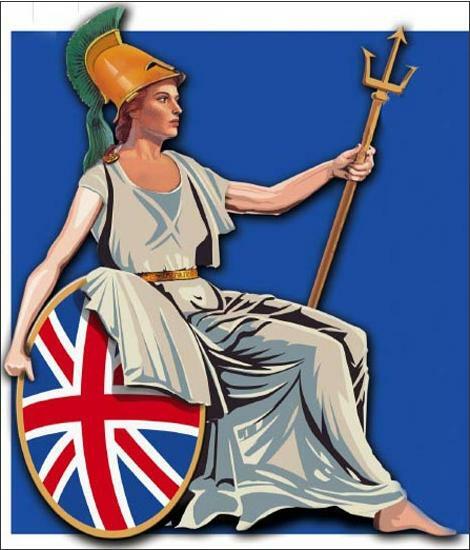 The patriotic symbol - based on a Roman goddess - will no longer be on any British coin for the first time in more than 300 years, as part of a redesign by the Royal Mint. I like some of their options in so far as being in line with modern Britain, the camera will do. 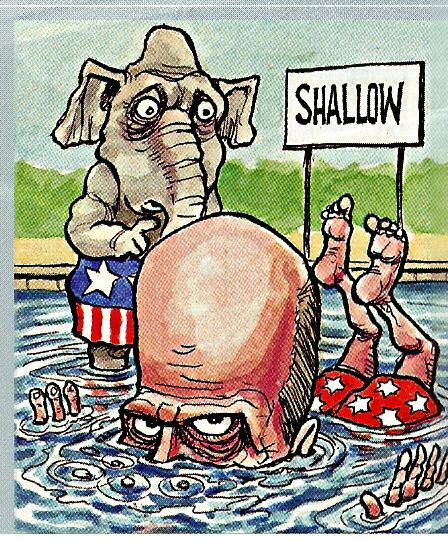 ...tonight for the SOTU (President Bush's last). Our Shipmate will be there. Dr. Bill Krissoff was commissioned Lieutenant Commander in the Navy Medical Corps on November 17, 2007, at the age of 61. His decision to apply to the Navy Medical Corps to care for Marines came in response to the death of his oldest son. In December 2006, his son First Lieutenant Nathan Krissoff, USMC, who was serving as a Counterintelligence Officer with the 3rd Recon Battalion in Iraq, was killed in combat. Inspired by his son’s commitment and dedication to serving his country, Dr. Krissoff decided to apply himself. Initially told by his recruiter that it was very unlikely that he would qualify because of the age limit, Dr. Krissoff did not give up. During a private meeting with President Bush in Reno, Nevada, Dr. Krissoff asked for assistance on an age waiver for the Navy Medical Corps. The wavier was soon granted so that he could begin the application process. Now commissioned, he is preparing for deployment as an Orthopedist in a Forward Resuscitative Surgical System (FRSS), a Level II combat surgical team treating injured Marines in the field. Dr. Krissoff has closed his private practice, and he and his wife, Christine, have relocated to the San Diego, California area, where he is assigned to the 4th Medical Battalion, 4th Marine Logistics Group. In addition, the Krissoff’s youngest son, Second Lieutenant Austin Krissoff, USMC, is stationed at Camp Pendleton, California. Let's step back again to take a look at the Steve Coughlin (see earlier this month here and here) kerfuffle. Though good 'ole Steve isn't allowed to talk to anyone about what is going on it seems, we should let his thoughts speak for him. To get an idea what Mr. Islam may have "issues" with, you can read Coughlin's thesis "To Our Great Detriment": Ignoring What Extremists Say About Islam for yourself (I am). That was going to be the extent of my post until a little birdie sent my way over the weekend an article that makes things much more interesting. Claudia Rosett at National Review Online has been digging....and digging...and the smell gets worse with every shovel full. One of the major players in all this has been the retired USN CDR now adviser to Gordon England, Mr. Islam. 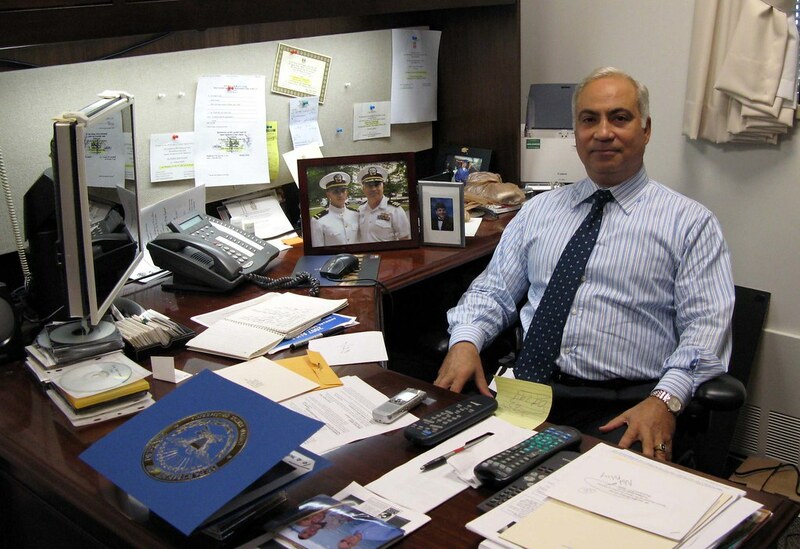 You can read a nice little official Pentagon puff piece on him here (will be ref'd later), from that profile is his pic, above right. First a double personal caveat. I won't go into specifics, though it is easy to find out, Mr. Islam did serve this nation for 20 years, and his service is being carried on by his children. BZ to both and any opinion you may have now or will have in the future should have zero reflection on his family. Also, I did not start out by going after Mr. Islam - but the investigation by Claudia deserves to be looked at - and if nothing else proves the old story about not throwing rocks in poorly designed houses. There’s one problem with this scene. As far as I have been able to discover, Israel during Hesham Islam’s entire lifetime has never bombed Cairo. That sounds memorable. But after more than a week of my repeated requests made by phone and e-mail, the Pentagon spokesman — despite being presumably in touch with Islam himself — was either unable or unwilling to provide such basic information as the name of the ship, or the date of its sinking. He just kept saying he was “looking into it.” But no answers. Before I began the marathon requests for specific information, the spokesman had speculated earlier, based on conversations with Islam, that the ship might have been called the Ibn Khaldoon, which might have been registered to the Iraqi merchant marine, and might have sunk sometime in 1979. 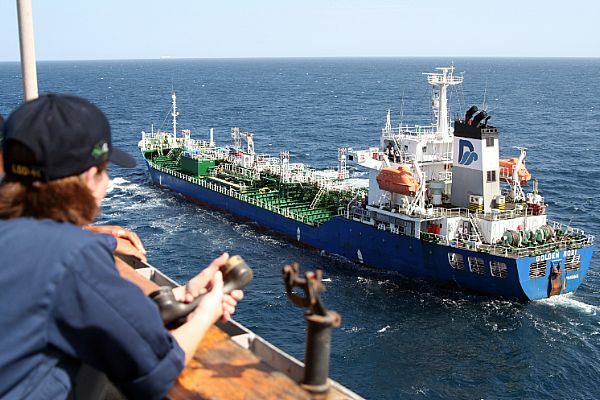 A check with the U.K.-based Lloyd’s Register turns up two cargo ships registered in Iraq during that time and under that name, but no record that either was ever sunk, either in the 1970s, the 1980s, or beyond. One is still in service; the other was broken up — and not by a torpedo — only a few years ago. Almost too painful to read. Someone find where Mr. Islam can/has/will debunk this article - otherwise, well, it is just sad .... and then raises more questions. And speaking of Masters Thesis..
Well, let's get the PDF of the whole thing. Just to get the full context; anyone know if NPS has them available on line anywhere? Of course, if it is THE JOOOOOOOOOOSSSSSSSSS - then one must wonder a bit. All that being said, I think one way or another, Mr. Islam has provided a great learning opportunity totally off topic to the Coughlin controversy; be careful where you let people take pictures of you. Ok folks, click the pic upper-right for a higher resolution (or get it from the profile puff piece) and help me out some. 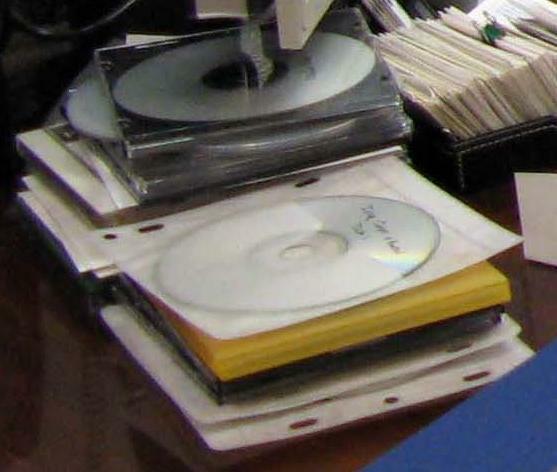 If you used to be Command Security Manager or Information Systems Security Manager - even better - because I want to know where the security classification markings, labels, and serial numbers are on this stack of CDs on his desk. And what is that title on the top? Looks like "Iraq surge ..." something. Anyone good at PhotoShop get a clearer picture of it? While we are on the subject, he is a man after my heart. He must have been a Staff Weenie at one point; I like his big "Not Policy" on someone else's work. 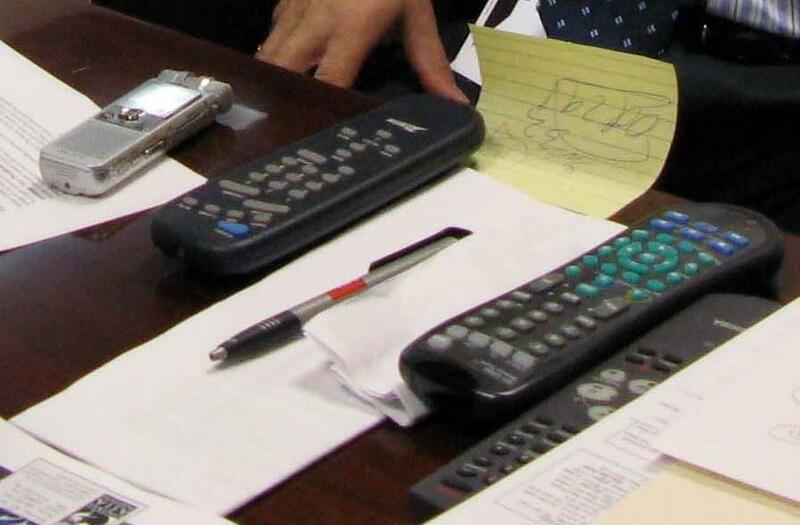 Another thing, how busy can a man be with this many remote controls on his desk - front and center. What is that, for a TV, DVD/VHS player and stereo? Blue Ray? As a man, I deeply respect what a remote control means, but seriously ... there is work to be done for the taxpayer here. And speaking of security, by Thor's Hammer I know he doesn't work in a SCIF but what is he doing with that (tech geek help me out here, if it ain't and iPhone, I pretend I don't know what it is) BlackBerry/cell phone/PDA thingy next to them? Hasn't he received "the brief" yet? ....and that big-yellow-sticky tickl'n his tummy makes me want to ask; what was on the schedule for "OCT 29?" So, there you go. Lesson learned here. Be careful what you say about yourself. 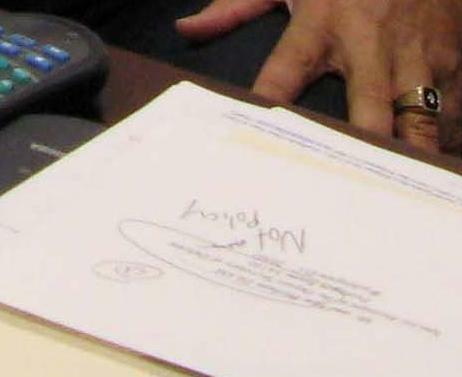 Be careful what your desk says to the camera. Be careful what fights you pick. This may get ugly or it may be a great misunderstanding, but one way or another, I hope the frag pattern is small. UPDATE: Thanks to MidwatchCowboy, we have a link to Mr. Islam's Thesis. You can find it here. I'm trying to find a time wedge to read it, will update later with comments. UPDATE II Electric Boogaloo: Things are moving fast it seems, my spies are coming out of the woodwork. Via a reader who wished to remain anon, we have some more information on the theoretical torpedo sponge: Mr. Islam - was it this IBN KALDOON? I recognize the name of the supposedly sunken ship you mentioned the Ibn Khaldoon. If you asked me to “Quick, name an IRAQI Merchant ship”, and gave me a second to answer, I’d probably have come up with that same name. Why? The name Ibn Khaldoon was all over the message traffic during the period right before the start of the ground war in DESERT STORM. Although the Navy did a lot of ship boarding during DESERT SHIELD without getting noticed much outside the Gulf and US military circles, this ship was different because it had the international version of Woman’s Strike for Peace on it. There was a lot of concern at the time that these folks would do something, possibly including faking an atrocity, when and if we boarded it. You can Google for Ibn Khaldoon and DESERT SHIELD or any of the US Navy ship names involved and find most of the story of the incident. A good summary is ... (here), see 26 December entry, and (here). You’ll have to read some contemporary press coverage to get the flavor of this ‘Sean Penn to Iraq’ like incident from the last war. For the folks in the amphibious Task Force, especially the ones diverted to Somalia just afterwards this action on the Dec 26th, and the revisit on 12 Jan was the big effort of the war itself. Otherwise they did not get to assault across the beach, like they might have expected to, so Ibn Khaldoon was it as far as direct support to the war went. 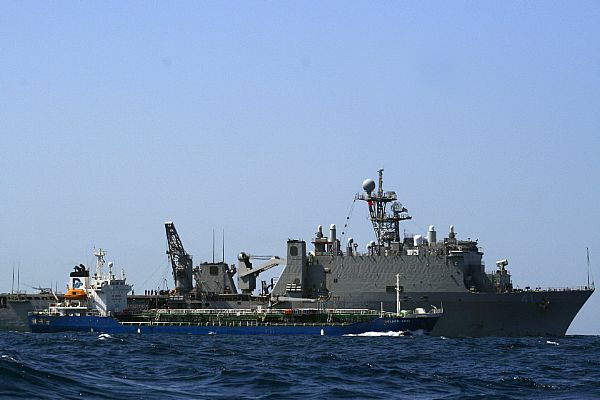 Somalia is another story, and most of the Amphibious ships got to go back there multiple times over the years, including up to today with the piracy issues, so it’s not something which would stick in your mind. The Ibn Khaldoon itself is not important. If you were at sea in the period of the war or after for the UN embargo, Arab ships names targeted for boarding came and went daily. This one would have struck out because it was special. 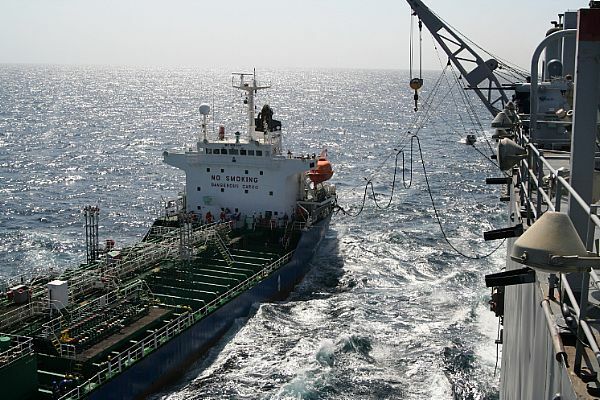 I would be curious to know what ships Mr. Islam served on and when during DESRT SHIELD and STORM. That may answer the question where the Ibn Khaldoon name came from when he was asked to provide a name for a ship that got sunk out from under him. (Many) who did the Ibn Khaldoon mission and EASTERN EXIT from Somalia, both Navy and Marine. They mostly talk about the “Peace Ship”, in part because of the irony of our having to rescue the over aged hippy lady that had the heart attack. (You can read about it in the NYT here). It all checks out so far. Mr. Islam; over to you. Refute it and I will post it pronto. UPDATE III: Oh my. On page 41 of his thesis we have AIPAC. On page 46 we have "Jewish bankers" and B'nai B'rith. The "American Jew" Kissinger on page 47 and so on....then page after page (about 8 or so I think) on AIPAC..again. Nothing shocking, or - yawn - any Sophomore undergrad Poly Sci major could put together. Yawn? UPDATE IV: DadManly's puzzler is a'puzzl'n. Simple; the fundamental facts of warfare don't go away just because they don't fit your cute little theories. The army is interested in acquiring as many as 34 new 155-200-millimetre towed howitzers to add to its existing stock of 12 M-777 guns, most of which are in Afghanistan.The program to re-equip gunners with state-of-the-art artillery began in 2005 under the former Liberal government when the army warned its stock of old 105-millimetre howitzers wasn't up to the demands of Afghanistan. Under an urgent government-to-government procurement, the Defence Department bought six M-777 guns from the U.S. Marine Corps and later purchased six more from the British manufacturer, BAE Systems Inc. In addition to going "oops, we need arty.." they also stopped sniffing the transformational glue about tanks when, yikes, combat got in the way. The Canadian Army is acquiring 100 Leopard II tanks, to be delivered from Dutch and Dutch army surplus. The purchase is a change of direction for the army and in particular for Chief of Defence Staff Gen. Rick Hillier, who only a few years ago described the Leopard tanks as "millstone around the neck" of the Canadian forces. 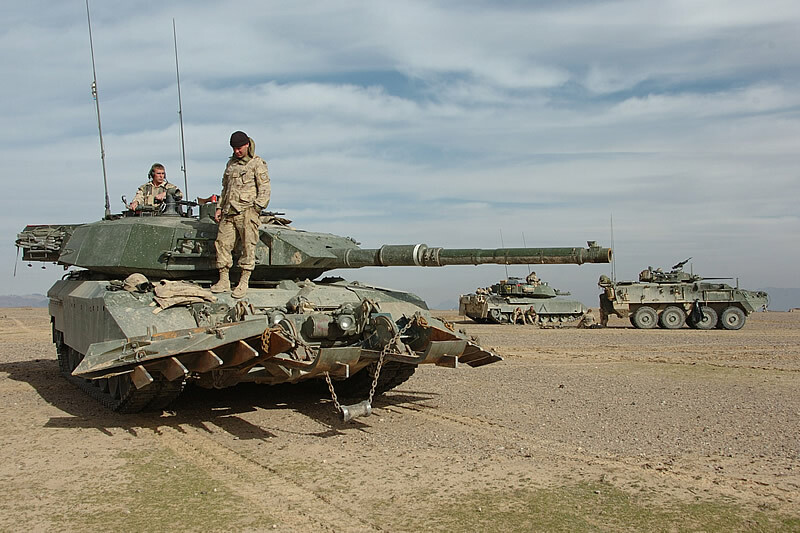 The Canadians realized the importance of main battle tanks in recent months, as tanks were rushed in to Afghanistan to support the Canadian contingent stationed at Kandahar. As the new tanks are inducted by the Army, the Leopard 1C2 tanks currently deployed in Afghanistan are expected to be retired from service. Yet, the intensity of recent conflicts, in Afghanistan, Iraq and Lebanon reestablished the validity of the tank as a highly protected, powerful and effective operational asset, which, at certain high threat scenarios, cannot be matched by more lightly armored wheeled vehicles. When employed in the proper manner, heavily protected tanks can survive most types of anti-armor and anti-material improvised explosive devices (IEDs), including shaped charge IEDs and landmines. They also offer unique capabilities of cross country mobility and counter-obstacle capability that cannot be matched by lighter armored vehicles. The Leopard 2 tanks will provide better protection against IEDs and landmines, compared to the currently deployed Leopard 1C2. ASW. 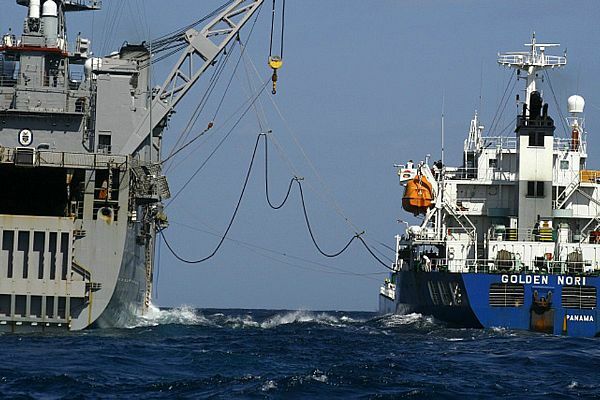 Coastal Mine Warfare. NSFS. Rinse, repeat. PEO Ships; call you office. UPDATE: Embedded trailer link fixed. Well goodness! What is all this about? The Dutch Muslim Council has attacked far-right Dutch MP Geert Wilders' politics as "racist and fascist". The council, which includes 200 organisations, appealed for calm ahead of the planned release by the MP of a controversial film. Mr Wilders says his film will show the Koran as an inspiration for murder. The Dutch Muslim Council said its members' message to the Muslim and non-Muslim world was that conflict would do no-one any good. At a packed news conference, the council attacked Geert Wilders' right-wing politics as "racist, fascist and authoritarian" and a threat to Dutch society. 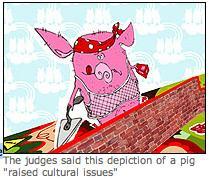 The council appealed to Mr Wilders' supporters to consider the consequences of his film after it was released. Mr Wilders said the Dutch authorities had let him know that he may have to leave the country for his own safety. The government is preparing for possible reactions to the film in the Netherlands and overseas, but it is adamant that freedom of expression at the heart of the Dutch constitution must be guaranteed. Funny, only the Brits seem to be following this in any detail. Here is more. A politician has warned that a "fear of Islam" is governing Holland after he delayed the release of a short film attacking the Koran. Geert Wilders, 44, the leader of the Dutch Freedom Party, who compares the Muslim holy book to Adolf Hitler's Mein Kampf, sparked government panic after saying the anti-Islam film would be released tomorrow. As Dutch police prepared for a weekend of riots and Mr Wilders was told by the authorities that he would have to leave country, he launched a new attack on "intolerant" Islam while announcing that his 10-minute film attacking the Muslim faith would be postponed for two weeks. "If I had announced that I was going to make a film about the fascist character of the Bible would there have been a crisis meeting of Holland's security forces?" he wrote to the Volkskrant newspaper. "Would I have received as many death threats as I have done since announcing I was making a film about the Koran? Of course not." Iran's parliament, the Majlis, this week warned of "extensive repercussions from Muslims throughout the globe" if the film was broadcast. In an attempt to defuse tensions, the Dutch government will tomorrow announce that it will not implement a ban on the Islamic burqa dress. Say what you want about Wilders and his party, but he is correct. Let's go back to the top of the post though; I want to do a little mini-Fisking. First things first; contrary to the DMC (no run there), Islam/Muslims are not a race. Second; do "Fascists" or opponents of "Fascists" have to leave their home country under a death threat from a violent retrograde minority of a minority that opposes free speech? Third; who is authoritarian, he who threatens or he who questions? Fun times. Here is the trailer. You can see an extended interview of Wilders here and here. Outlaw Mike; you live next door to the Dutch - what are your thoughts? UPDATE II - Electric Boogaloo: Ayaan on Laura Ingraham on Wilders; can be seen via HotAir here. BTW, Swiss F-18 vs. German MIG-29. We made such great music when he was President. Fleet Reserve? IRR? Do you really understand the responsibilities of a "Retired Officer" is? What more can you say? This is from Time in 1944. Yes, 1944. In 1893, when Adolf Hitler was four, 17-year-old Lionel Cohen, son of a Newcastle shipping merchant, was fighting his first campaign, with British forces against the Matabele tribe in South Africa. Then Cohen tried gold mining, fought again, in the Boer War, turned to ranching and later worked as a reporter for the Rand Daily Mail. In World War I Cohen was at it again, this time as an intelligence officer with the South Africa Light Horse. He served in the East Africa operations, won the Military Cross and D.S.O. After that Cohen moved to London, became a stockbroker and raised dairy cattle. When Britain went to war again, in 1939, Lionel Cohen was qualified as an observer with the R.A.F.V.R., was assigned as Air Liaison Officer with the Navy. Now 68, Wing Commander Cohen is the R.A.F. 's oldest flying officer. He has made 45 operational flights, totaling 500 air hours. Last week he got another ribbon, added another item to his record: he is the oldest recipient of the coveted, candy-striped Distinguished Flying Cross. So, tell me again how much you have served your country? A great opportunity for you, thanks to reader Steve, we have Wg Cdr Cohen's own voice in a FEB 1944 interview. Amazing, at a time when many volunteers "of age" are doing desk jobs, look at what he did. ...as RAF Coastal Command Liaison Officer with the Admiralty, volunteering to take part in 70 operational flights as Observer and Air Gunner (always carrying his lucky gold sovreign with him! ), in over 500 hours flying in the Atlantic (convoy escorts); Iceland (ice reconnaissance – where on one Liberator sortie, when the heating failed, he insisted on doing his stint in the turret round Bear Island, and on landing at Reykjavik, it took two crew members to prise him out of his seat!) ; North Africa and Spain (anti-submarine patrol), Bay of Biscay (light aircraft patrol) and over North West Europe, including a stint with the RAAF (Australians). Promoted Wing Commander, he took part in the attacks on the German battleships Scharnhorst and Gneisenau over the port of Brest on April 23rd 1941. In the same year, during a shipping attack off Norway, his aircraft was chased by three Me 110's and a Ju 88 and on another occasion, his Sunderland aircraft took part in a 4 strike attack on U Boat over the Atlantic, and claimed it sunk. Over the North Sea on May 19th 1942 he was wounded in the head by anti-aircraft fire in the attack on the German pocket battleship 'Lutzov'. His longest patrol was in a Catalina – 21.5 hours over the Atlantic in July 1941. 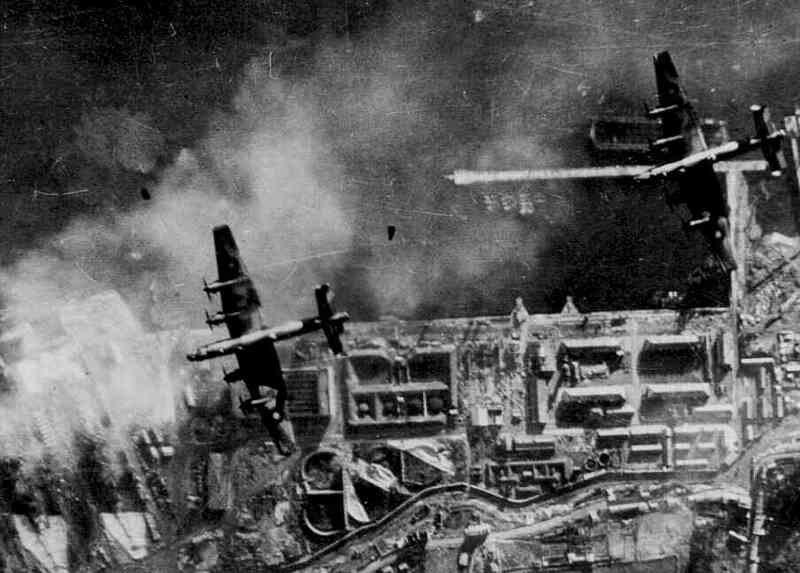 His penultimate sortie in a Halifax , hit by flak, resulted in a crash landing from which he walked away unscathed. Fullbore Wg Cdr Cohen; wish I had a picture, but your story is more than enough. 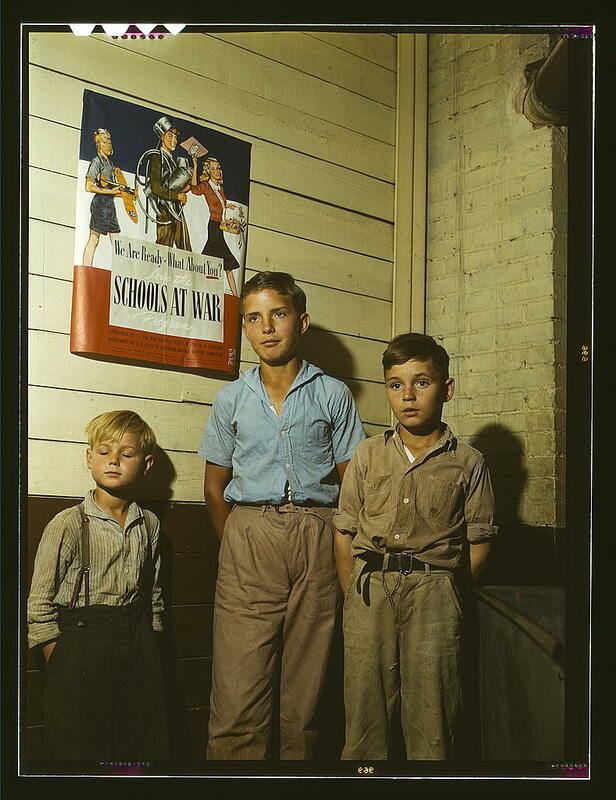 The Library of Congress has just disgorged a national treasure; a collection of color photos from the 1930s and 1940s. Take some time to see it all. Lots of stuff for you militaria buffs - but this one caught my eye as the boys in this picture were born about the same year my parents were. Also notice the poster on the wall - anything like this in the gov'munt school near you? More here. Oh, the quote by Samuel Johnson? Most know the first line, but I like the whole exchange. Johnson: "Every man thinks meanly of himself for not having been a soldier, or not having been at sea." Boswell: "Lord Mansfield does not." Johnson: "Sir, if Lord Mansfield were in a company of General Officers and Admirals who have been in service, he would shrink; he'd wish to creep under the table." Boswell: ""No; he'd think he could try them all." Johnson: "Yes, if he could catch them: but they'd try him much sooner. No, Sir; were Socrates and Charles the Twelfth of Sweden both present in any company, and Socrates to say, 'Follow me, and hear a lecture on philosophy;' and Charles, laying his hand on his sword, to say, 'Follow me, and dethrone the Czar;' a man would be ashamed to follow Socrates. Sir, the impression is universal; yet it is strange. As to the sailor, when you look down from the quarter deck to the space below, you see the utmost extremity of human misery; such crouding, such filth, such stench!" Boswell: "Yet sailors are happy." Johnson: "They are happy as brutes are happy, with a piece of fresh meat, --with the grossest sensuality. But, Sir, the profession of soldiers and sailors has the dignity of danger. Mankind reverence those who have got over fear, which is so general a weakness." Scott: "But is not courage mechanical, and to be acquired?" Johnson: "Why yes, Sir, in a collective sense. Soldiers consider themselves only as parts of a great machine." Scott: "We find people fond of being sailors." Johnson: "I cannot account for that, any more than I can account for other strange perversions of imagination." Hat tip Bluto at Jawa. I'm sorry, if this doesn't make you want to get up to the bridge, then you should just go home and clean the garage. The story of the Golden Nori is well known. Let's just watch the pros from USS Whidbey Island (LSD-41) do their work. 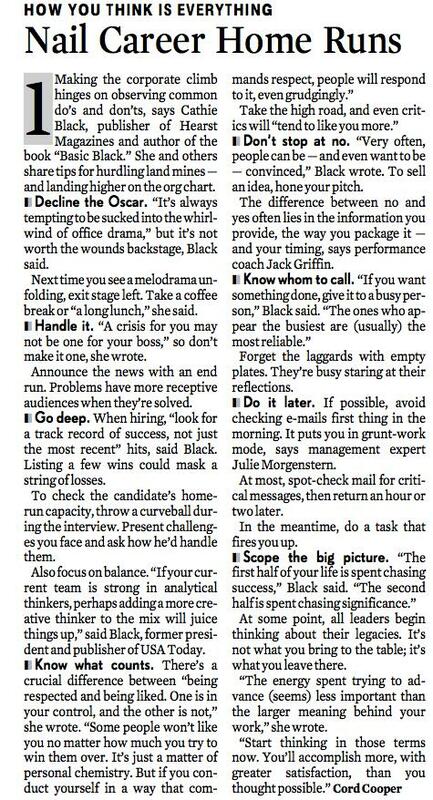 More good stuff from the IBD. Drudge has this on his front page. 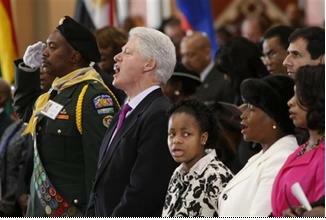 What uniform is that next to former President Clinton? That guy is about my age or a bit younger. I think I see some Boy Scout stuff WRT the kerchief and the sash, but what is the deal with the Army like jacket and the "only people who consider a Toyota truck a infantry fighting vehicle wear a beret like this" cover? Has some Scout organization changed their leader uniform, because that doesn't look like any Scout uniform, police uniform or US military outfit ever created? I don't want to insult anyone, but ... someone help me out there. What is that uniform - and who do you call to offer suggestions....? Just as a snarky comment; SC has some of the highest military service per capita ratios in the nation - couldn't they find some VFW type instead? Who would have thought that the Dutch would be better defenders of Western society? The Dutch government is set to impose a ban on the Muslim burqa in schools and government offices, media reported on Wednesday, in a retreat from the previous cabinet's plan for a general ban. The cabinet has decided against a broad ban on burqas in public as that would violate the principle of freedom of religion, news agency ANP said, citing unnamed cabinet sources. The Muslim community says only about 50 women wear the head-to-toe burqa or the niqab, a face veil that conceals everything but the eyes. They said a general ban would heighten alienation among the country's about 1 million Muslims. As for the UK, they are more than happy to extend their necks. I am sorry, they are right, but it will never happen the way the North Atlantic Council works right now. The authors - General John Shalikashvili, the former chairman of the US joint chiefs of staff and Nato's ex-supreme commander in Europe, General Klaus Naumann, Germany's former top soldier and ex-chairman of Nato's military committee, General Henk van den Breemen, a former Dutch chief of staff, Admiral Jacques Lanxade, a former French chief of staff, and Lord Inge, field marshal and ex-chief of the general staff and the defence staff in the UK - paint an alarming picture of the threats and challenges confronting the west in the post-9/11 world and deliver a withering verdict on the ability to cope. They have the answer though, I will give them that. · A shift from consensus decision-taking in Nato bodies to majority voting, meaning faster action through an end to national vetoes. · The use of force without UN security council authorisation when "immediate action is needed to protect large numbers of human beings". Sad thing is, the only way this will happen is if London or Paris is nuked. Additionally, they are right on target, pun intended, about NATO in Afghanistan. In the wake of the latest row over military performance in Afghanistan, touched off when the US defence secretary, Robert Gates, said some allies could not conduct counter-insurgency, the five senior figures at the heart of the western military establishment also declare that Nato's future is on the line in Helmand province. "Nato's credibility is at stake in Afghanistan," said Van den Breemen. "Nato is at a juncture and runs the risk of failure," according to the blueprint. Naumann delivered a blistering attack on his own country's performance in Afghanistan. "The time has come for Germany to decide if it wants to be a reliable partner." By insisting on "special rules" for its forces in Afghanistan, the Merkel government in Berlin was contributing to "the dissolution of Nato". Ron Asmus, head of the German Marshall Fund thinktank in Brussels and a former senior US state department official, described the manifesto as "a wake-up call". "This report means that the core of the Nato establishment is saying we're in trouble, that the west is adrift and not facing up to the challenges." Unlike some people, I am not an Obama supporter - but you have to admit, last Sunday is going to be a boost for him in the African-American community. Though the "traditional" Black leadership is still with Hillary (some bought), the rank in file may be a different matter. 90% of Blacks don't vote in Rep. primaries. 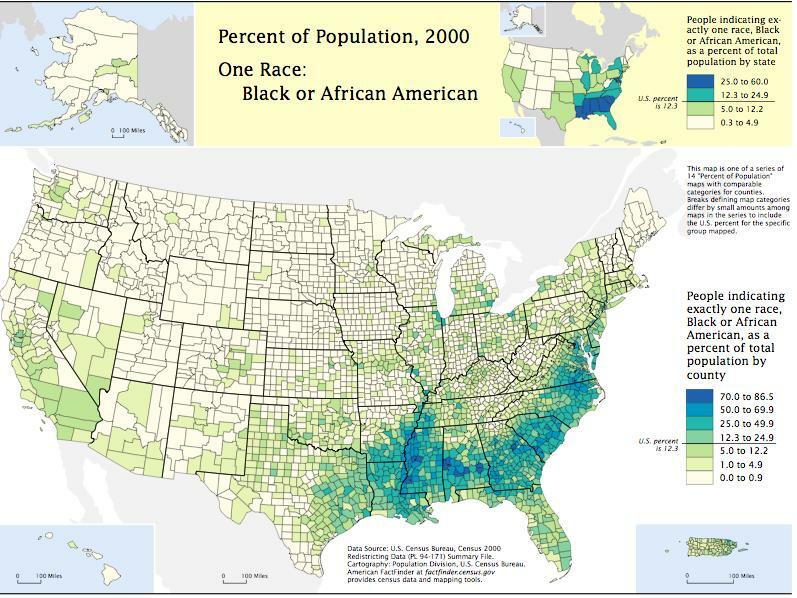 Watch the Dem turnout in the South.... and watch how the Dem race war will work out in the long run. Some think that Obama will lose his legs once the South is done; I don't think so - IA and NH should be your guide. Next time Mrs. Salamander complains about one of my many hobbies, I will simply play this clip for her and say, "Hey, I could be into this." She will harmuph, and then I can go back to restoring antique fishing reels in peace. Mona Eltahawy hits a pitch-perfect note. The old-line Feminists have proven in the last half-decade that they are irrelevant useful idiots of the anti-Western Left and not what they pretend to be, advocated of women. The greatest retrograde force in the world for women is fundamentalist Islam, yet the silence from those who should be defending young women from men who want them kept as chattel and the sub-culture that enables them, is deafening. Mona hits it just right on the lack of moral courage of the West, crippled by Political Correctness, in facing this misogynistic entity. 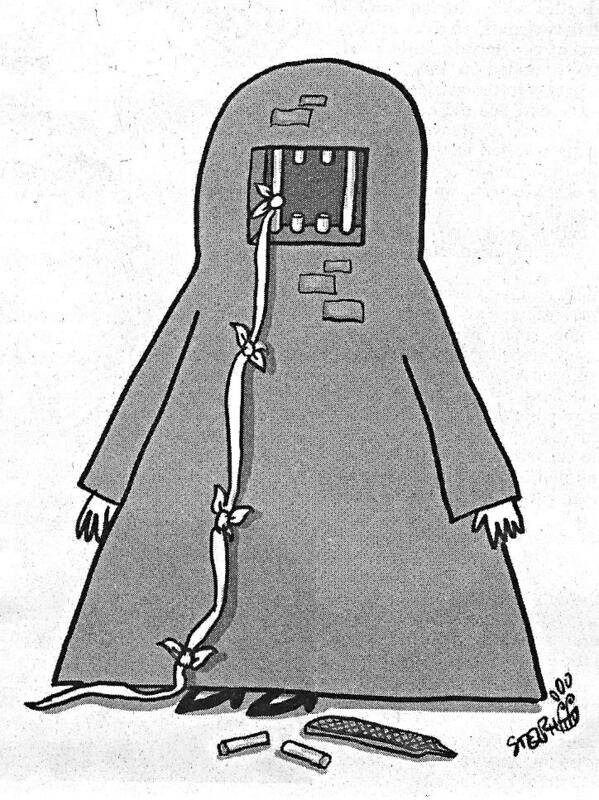 I am waiting for the removal of clerics and imams, who incite hate and violence with their messages about hijab. I am waiting for Muslim families to stop disowning European Muslim women for marrying non-Muslim men. And I am waiting for the end of a sometimes deadly choice Muslim women -- victims of violence -- have had to make in a post-9/11 United States, when calling the police could mean the deportation of a husband, a brother or a father. The clash of patriarchal cultures -- from the perspective of a Muslim woman in the middle -- offers a too-familiar oppression and abuse, covered up by an equally too-familiar system of denial. It is heartening to hear of shelters opening in the United States with the needs of Muslim women in mind. But unless we confront and resolve these difficult issues, not enough girls and women will make it to those shelters. Yes, we are all waiting. As the father of two girls, the parallel universe these poor women exist in is almost beyond comprehension. The fact so few speak out against it, especially in academia, is a shame on us all. Like Mona? You can see and hear her in an interview below that is focused on the Egyptian Christian Copts. She may be from Egypt, but Mona I think represents the best of the Liberal Western tradition - Liberal in the traditional not American context. Strong moral courage; I'm going to keep an eye on her. Like we say in the Navy; Bravo Zulu, Mona - Bravo Zulu. As outlined very well by Nemanja Malisevic, the terrorists have started 2008 with two very solid victories. ...these victories ... were scored in Brussels and Lisbon. What is worse is that the terrorists did not even have to "work" for them. First, the authorities in Belgium canceled the traditional New Year's Eve fireworks in Brussels because of security concerns linked to terrorism. Then, a few days later, the Paris-Dakar Rally was canceled for the first time since its inception in 1979. The civilized world need to find its ball soon. Preemptive surrender is no way to keep your daughters out of a Burqa. Terrorists have started the year with much momentum. Now it is up to the national authorities, the international community and individual citizens to ensure that this trend does not continue. State and corporate resources must be made available to ensure not only that such social events are held as planned, but to protect, as much as possible, the safety of participants and audiences whenever and wherever they to take place. Public support must be mobilized against those who aim to deprive us of these gatherings. Public discussion should go hand in hand with increased vigilance. The statement of Dakar's organizers defiantly asserts that the "cancellation of the 2008 edition does not endanger the future" of the race. Nonetheless, it is clear that terrorist groups across the globe will take note of this development. In the current state of fear, they do not even have to strike anymore - merely threatening to do so may already do the job. Exactly; does anyone here think 2009 is going to be any safer than 2009? Get our game face on folks. Don't think big gov'munt doesn't pay? Check it out and see what 'ya think. From the IBD. Yes, join IowaHawk in our concern for those who have given so much in public service. Doesn't the self-righteousness feel wonderful? Yes, let the tide rise higher. The United Nations' chief envoy in Iraq gave a mixed report on the situation on Monday, saying security had improved but an Iraqi political consensus was needed for lasting stability. "We cannot ignore the recent improvements both in the security and political situation in Iraq," Staffan de Mistura, head of the U.N. Assistance Mission for Iraq (UNAMI), said in a speech to the Security Council. Most diversity training efforts at American companies are ineffective and even counterproductive in increasing the number of women and minorities in managerial positions, according to an analysis that turns decades of conventional wisdom, government policy and court rulings on their head. A comprehensive review of 31 years of data from 830 mid-size to large U.S. workplaces found that the kind of diversity training exercises offered at most firms were followed by a 7.5 percent drop in the number of women in management. The number of black, female managers fell by 10 percent, and the number of black men in top positions fell by 12 percent. Similar effects were seen for Latinos and Asians. The analysis did not find that all diversity training is useless. Rather, it showed that mandatory programs -- often undertaken mainly with an eye to avoiding liability in discrimination lawsuits -- were the problem. When diversity training is voluntary and undertaken to advance a company's business goals, it was associated with increased diversity in management. Wonder what the Diversity Bullies have to say about this? Nothing much, I assume. Heck, they are so afraid of their own shadow, more often than not, they won't even say the "N-word" they say is so horrible. Can't we be grown ups and talk like adults about this stuff?